1) Introduce my rule that everyone is served everything. This way, you won't get into those painful conversations about what should go on your child's plate. The minute you begin making special requests for her, her eating is highlighted. This is to be avoided because it piles on the pressure and attention. The more you draw attention to your child's pickiness by asking for special meals, the more picky she is likely to be. It's worth bringing this rule into play at least a few days before a big family occasion so that your child knows what to expect. The other benefit of giving your picky child everything, is that just tolerating a new food on her plate will help her to accept it, even if she doesn't eat or even try it. The downside: it's important to practice what you preach so even if you're an ardent sprout-hater, you have to take some too. 2)Make sure your child (and any other adults present) know that it is absolutely fine for her to leave anything she doesn't want. This instantly takes the pressure off. It doesn't matter if your child only has one roast potato for her Christmas dinner - it really doesn't! If she is healthy and basically well nourished, it's much more important that she has a good experience of a family meal rather than eats up her turkey. The secret to solving picky eating is understanding that once those positive emotions are in place at mealtimes, adventurous eating can follow. Play the long game, focusing on the social side of eating, not what you can get down your child at any given sitting. And (whatever anyone else tries to tell you) fight any temptation to encourage your child to try her food. If you're wondering about the logic behind this, this post will help. 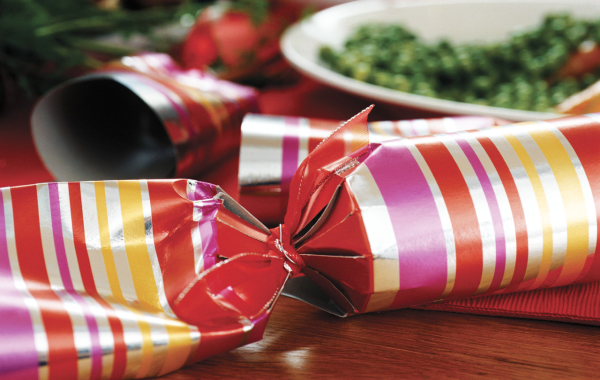 3) Save festive treats until after the main meal. Appetite is your best friend when you are dealing with picky eating. If you wouldn't fancy tucking into a big roast dinner after eating your own body weight in chocolate, why expect your child to? I'm not against children eating treats on special occasions, but timing is everything.